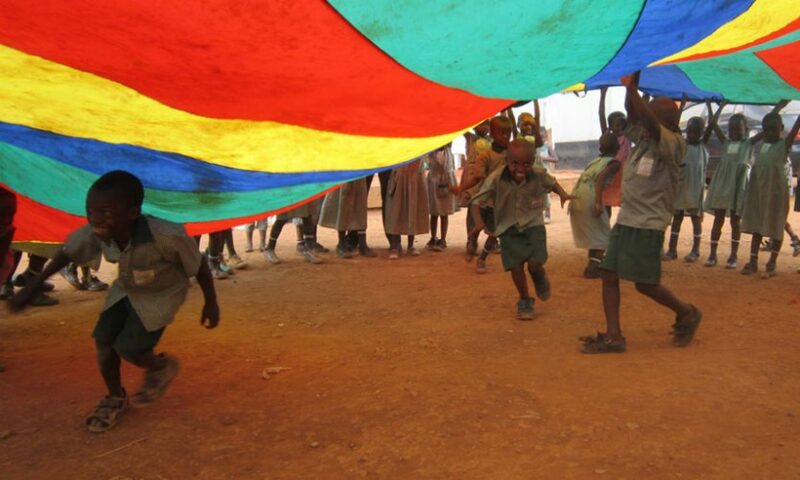 Hosanna School, situated in the shanty town of Kisenyi, Kampala, is a very special place. It offers a good standard of basic primary education to over 900 children from this deprived area. It also provides a safe haven, clean water and free toilets. The school fees are kept low to enable families access to education. Children are not sent away if the fees are not paid in full. The dedicated staff receive lower than average salaries. The Hosanna Primary School Support Group is proud to have played a part in this work by providing funding since 2003 and last year 230 children at the school had their fees paid by supporters in the UK – at a cost of £42 per year. Continue to support Hosanna School pupils at Secondary School – £12.50 a month – £150 a year will pay Secondary School fees for an ex Hosanna pupil. You will receive end of term reports. Six years ago the Head Teacher of Hosanna School asked if we would consider continuing to fund a few pupils, who did well in their Primary Leaving Exams, at Secondary School. It was agreed to ask the sponsors who responded positively. The students show great commitment as they live in cramped accommodation with no power and little privacy. They also need to find paid work in the holidays to help supplement the family income. Four of the five students who started at Secondary School in 2010 completed their studies last year. Something they could not have hoped to do without the provision of school fees, which at £50 per term are way beyond the means of Kisenyi families. With continuing support from their sponsors, Francis and George are training to be mechanics, James is training to be a mobile phone technician and Tadeo is enrolling in a Teacher Training Course. .Attending Hosanna School, and being able to continue with their education and training, has opened up life changing opportunities for these young men. In a letter to his sponsors George wrote: ‘I would like to thank you for turning my life from darkness to lightness’. There are 33 ex Hosanna School pupils now attending local Secondary Schools thanks to Supporters in the UK. The Support Group Trustees see this as an exciting extension of the work of the charity and are keen to develop the support for Hosanna pupils as they leave the school. Could you and your family or friends take part in this life enhancing project and cover the cost of Secondary education for pupils as they leave Hosanna School? At present Secondary School fees are £150 a year – £50 per term £12.50 a month. Thank you if you are already supporting a child at Hosanna Primary School or at a secondary school, but maybe you know of someone who might be interested in helping with this new challenge.